If you remember when Gareth Southgate stepped up to take the sixth penalty against the Germans at Euro 96, you’ll know about the pressure of being English and having one shot to beat the Germans. Step in the Jaguar F-Type, a Convertible sports car designed both to encapsulate all that’s great about Jaguar - and more pragmatically - steal sales from Porsche, Mercedes-Benz and BMW two-seaters. 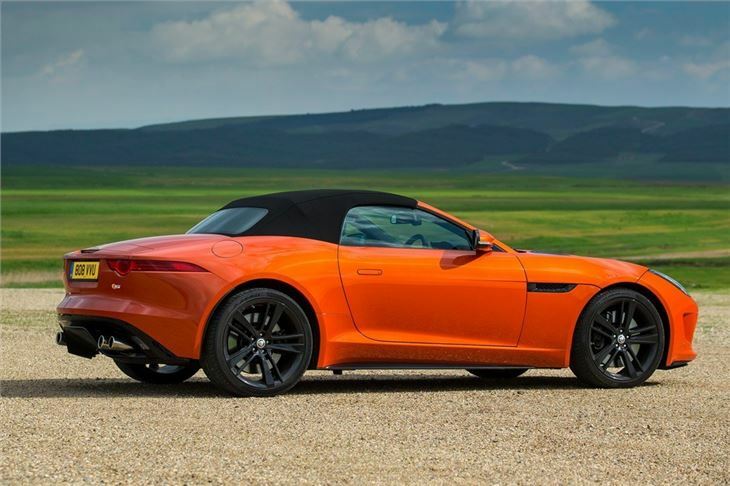 Much of the talk in the build up to the launch of the F-Type, which came as a Convertible first with the Coupé following a year later, was of it being the first true successor to the now legendary E-Type – hence the pressure. 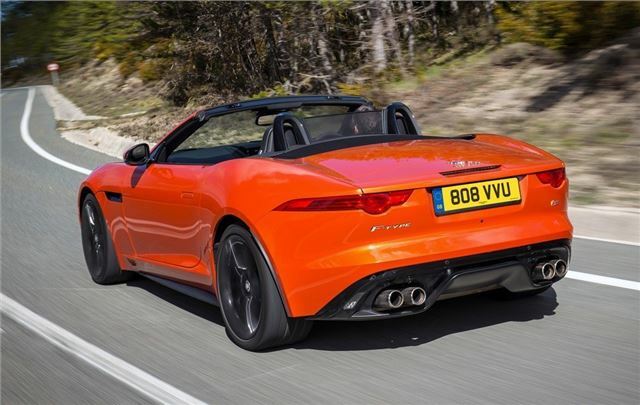 And while it’s true that the F-Type can trace its lineage back to the E-Type, it’s in fact a direct replacement for the rather less legendary (though still very good) XK. 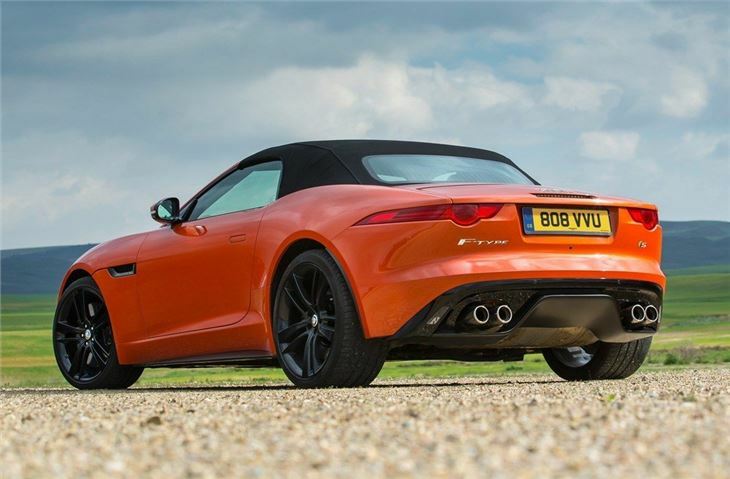 The first clue is in the proportions – the F-Type is shorter, lower and wider than the XK – while even the basic 340PS V6 version serves up a hard-edged soundtrack that out-screams virtually everything else on the road. And of course, with the top down the whole sensation is amplified. 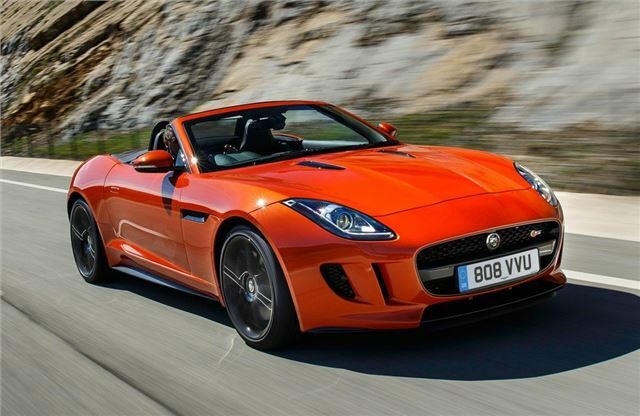 Yet the F-Type Convertible still makes a convincing, largely comfortable touring car while providing eight-tenths of the plug-in, sheer driving brilliance of a Porsche Boxster or 911 – models that are both F-Type alternatives because of the sheer breadth of the Jaguar’s model range. The expansive Convertible range starts at around the £60,000 mark with a 340PS 3.0-litre V6 supercharged, equipped with a six-speed manual gearbox and rear-wheel drive. 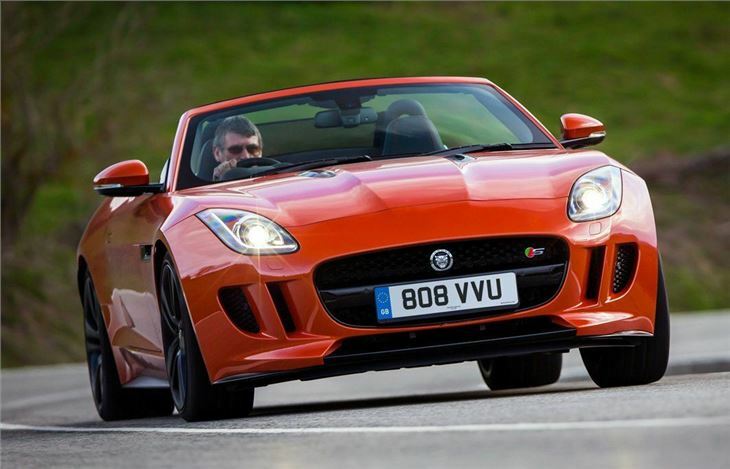 It tops out with the SVR model – a four-wheel drive 575PS supercar lite with a 5.0-litre supercharged V8, a 195mph top speed and 0-62mph in 3.7 seconds. 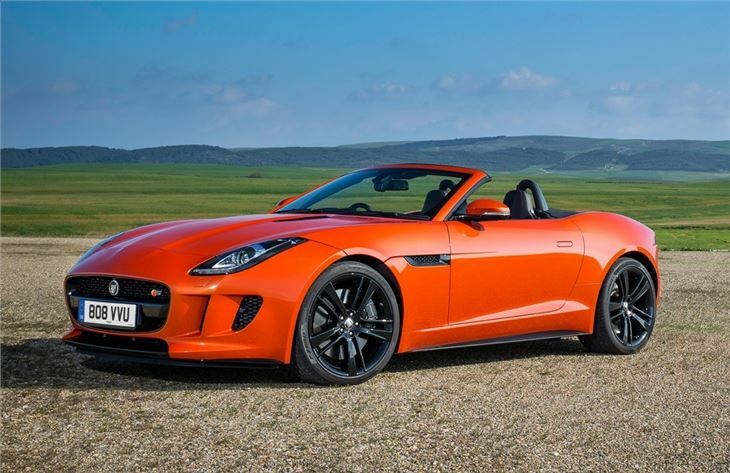 Tuned by Jaguar Land Rover’s Special Vehicle Operations team, it costs £115,000. 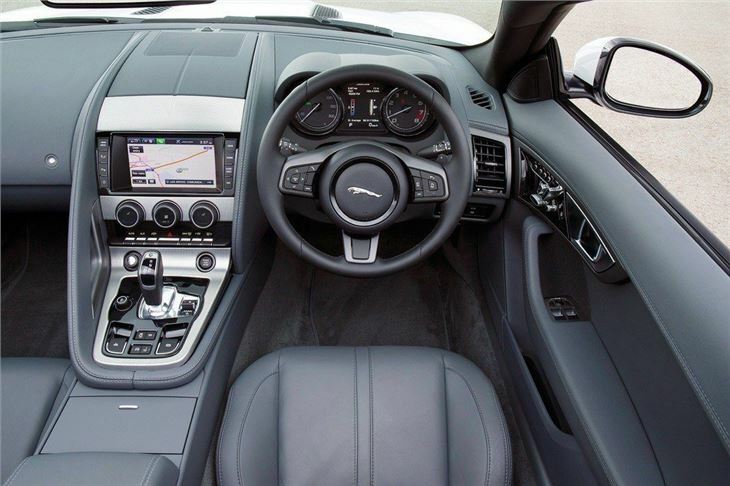 Just below that in the range is the F-Type R, with 550PS, and the range is completed with the 380PS supercharged V6 models, badged S and the best balance of price, performance and specification that the range offers. Unlike the base model V6, the S is available with four-wheel drive.